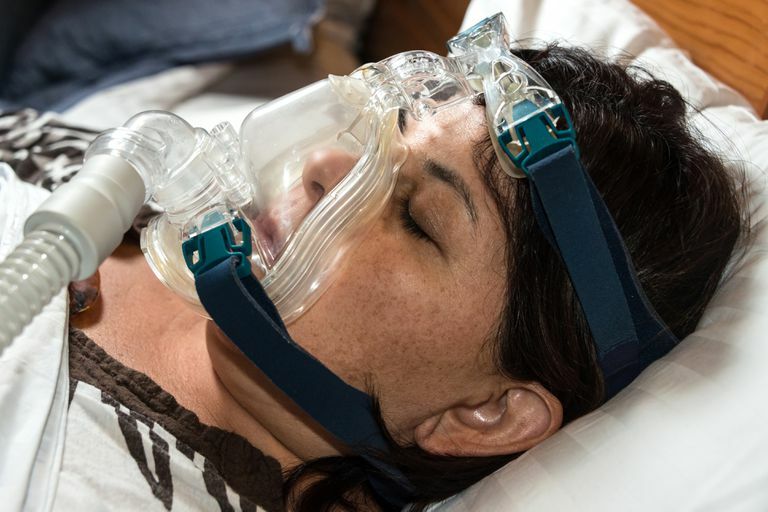 Continuous positive airway pressure (CPAP) is widely regarded as the best treatment available for obstructive sleep apnea. When properly set and consistently used, it is highly effective, though early on tolerance and compliance can be an issue. It may be easy to tell when a CPAP machine is working, but what are signs that it is not working anymore? Consider some of the major indications that your CPAP machine and equipment may need to either be adjusted or replaced. Here are some of the more typical scenarios. If the machine simply does not turn on, it clearly is not working properly. When plugged in, most CPAP machines can be turned on with the push of a button. If placed on a particular setting, some machines will even start working when you breathe into your connected mask a few times. If the CPAP simply stays off or does not generate any airflow, the device should be brought to your equipment provider for evaluation. It may indicate that the device needs to be repaired or replaced, especially if it stopped working after being dropped. Though this is the most obvious sign that the CPAP is broken, there can be other signs that something is amiss. If your heated humidifier tank does not need to be refilled more than once every 2 to 3 days, this may suggest that the temperature and humidity settings need to be adjusted. If the water never goes down, the humidifier may not be working at all. If the hot plate under the water chamber is not warming, this could be a problem. Some evaporation will occur as the air passes over the water, but it will typically be at a much slower rate if the heating element isn’t working. If the air feels uncomfortably cool, this may be further evidence of its dysfunction. In addition, if you have heated tubing and water is condensing inside of it, this may suggest that the humidity setting is too high or that the tubing is either not connected properly or just isn’t working. The machine may also become noisier or fail to generate an adequate airflow, often less than it did previously. Snoring should never occur with an adequate CPAP pressure. If the CPAP device is set properly, the constant flow of air will keep the airway from collapsing and will also eliminate the vibration of tissue that causes snoring. If you are snoring with your CPAP mask on, and mask leak is not the issue, the pressure likely needs to be increased to be fully effective. In addition, witnessed pauses in breathing or episodes where you wake up gasping or choking when using the treatment are signs that the pressure is improperly set. The apnea-hypopnea index (AHI) indicates the number of breathing disruptions that occur per hour of sleep. If the AHI is greater than 5, as can sometimes be provided on the CPAP display in the morning or with associated apps, the pressure should be increased. If you experience these difficulties, you should speak with your sleep doctor about having the pressure adjusted. Some people notice a significant improvement with the use of CPAP in a matter of days or weeks. This may be experienced as fewer awakenings, more refreshing sleep, decreased daytime sleepiness, or improvements in concentration, short-term memory, or mood. Over the long-term, other conditions associated with untreated sleep apnea may improve such as high blood pressure, heart failure, or diabetes. If the symptoms that prompted your evaluation for sleep apnea return, this could suggest that the CPAP is not working optimally. The most common complaint would be the return of excessive daytime sleepiness, often manifest by prolonged or frequent daytime naps. This could be due to unrecognized mask leak or even an inadequate treatment pressure. Weight gain, alcohol use near bedtime, and aging may all lead to the need to increase CPAP pressures. Therefore, if you find that your symptoms have recurred, check in with your sleep doctor to see if things can be improved by adjusting your setting. Unfortunately, CPAP machines do not last forever. If your machine starts to make a funny noise, doesn’t seem to generate the same pressure as before, or is otherwise being temperamental, it may simply be time to replace the device. In general, most insurance companies will pay to replace the CPAP machine every 5 years. These devices do have some degree of built-in obsolescence, meaning that they will gradually begin to fail and require replacement with a new device. Therefore, if your CPAP is old enough and it is not working well, it may simply be time to replace it. Fortunately, newer models often are quieter, have enhanced features, and are often easier to use compared to the older generations of equipment. If you believe that your CPAP machine is not working properly, don't suffer in silence. Call your equipment provider or sleep specialist and get your treatment back on track. Do You Have to Use Only Distilled Water in the CPAP Humidifier?